Inspired by misty mornings by the lake, choosing the perfect pebble for skipping, assessing its weight and smooth tactility. The pebble rings are designed to imbue this same quiet contemplation. At it's widest point (the top) the ring measures 6mm. The gentle taper makes for a very comfortable wear despite its heft. Handcrafted in sterling silver reclaimed from circuit boards. Whilst we do keep some sizes in stock others may need to be made to order, please allow ten to fifteen days for manufacture should we not have your size. Feel free to email us to inquire about sizes in stock. 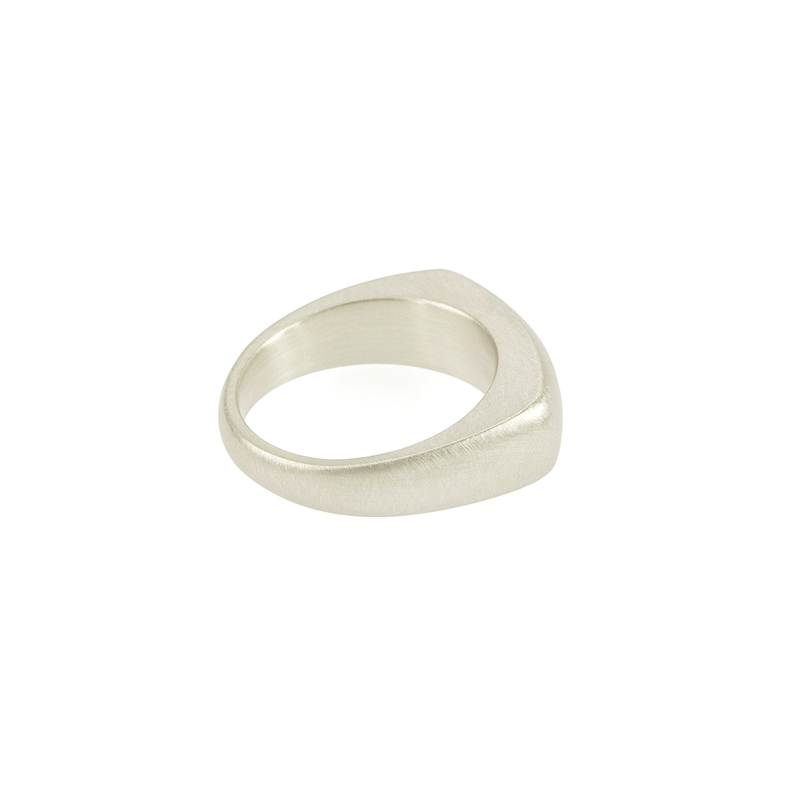 Notify me when Size H Angular Pebble Ring is available.